Could you run for us in the London Marathon? YMCA St Paul’s Group is calling on runners to put their best foot forward to raise funds for us in next year’s London Marathon on Sunday 23 April 2017. Local runners who may have missed out on a place in the official ballot are encouraged to apply for a charity place with YMCA, one of the best known and oldest charities in the UK. YMCA St Paul’s Group is part of a national federation overseen by YMCA England which has limited places available in the 2017 event. We would like runners to get in touch to book their place and pledge their support. Our vision as a Christian charity is where people can come as they are; be met at their point of need and come to know life in all its fullness. 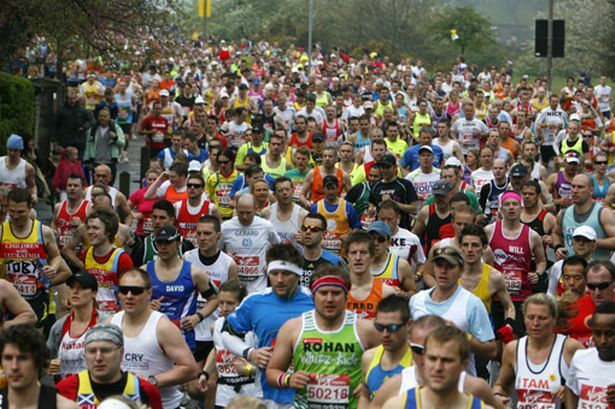 Money raised by marathon runners will be spent on on work supporting vulnerable people. We’re the largest provider of housing for the homeless in South West London and last year we helped and housed over 500 people, some as young as 16 years old. There is a £100 registration fee for the race, which is paid up-front but does form part of your final sponsorship total. The sponsorship target is £2,000, (subtracting £100 for registration, this leaves £1,900 minimum to be split between YMCA St Paul’s Group and YMCA England for fundraising; £1,600 to be raised before race day). If you’re successful with your application, we can offer you free membership at our gyms while you train with our Get Started programme to help set your goals.